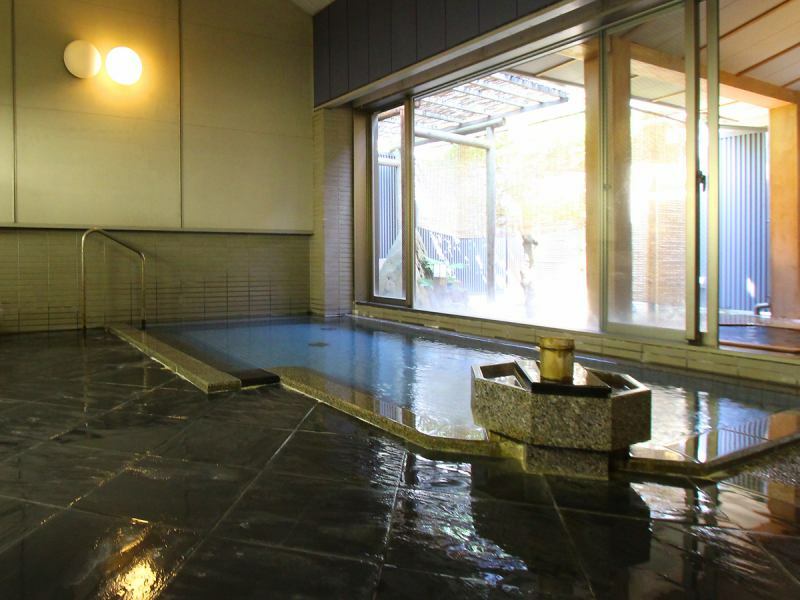 Wakura Onsen, dating back to about 1200 years, begins with the hot spring bathing of Datong. Initially, hot springs began springing up in the valley of the west, Maruyama no Yu of Mt Yakushidake, then, you will be told that opening springing up in the sea off the coast of 60 m has been moved by the fluctuations in the earth's crust.And then, for a long time passed through the era, the fisherman and his wife, who lived in the land, saw that the Shirasagi was healing in the steaming ocean, and found "Wakura spring outwelling beach Wakura spring outwelling beach"Wakura (Takura) it was done.It is reported that its Wakuura got dirty and became known as Wakura. Keicho 1611 (Keicho 1611), there were times when Kaga Clan second Feudal Lord Maeda Toshinaga Wakura-no-yu ( Wakura Onsen ) Kaga Clan second Feudal Lord Maeda Toshinaga Wakura-no-yu ( Wakura Onsen ) was troubled with a tumor, and the reputation Wakura-no-yu of Wakura-no-yu has been heightened because he Wakura-no-yu ( Wakura Onsen ) and treated it. Therefore, in order to make it easy to use it as a hot spring sanitation hot water, in Kanei (1641), Kaga Clan third Feudal Lord Maeda Toshitsune ordered the construction of Yushima with the maintenance of the Yuguchi and the surrounding land at Town magistrate Ishiguro Kakuemon Park .Yushima, a urn of stone enclosure was built, a bathtub that stores hot water was lining up, and it was said that it built a roof of the thatched roof and covered it. Since then, many hot-spring recuperators will come to Wakura ( Wakura Onsen ), and "Seven if Wakura Wakura and a house, ShimaniYu the ShimaniYu" Although there are only seven houses in the semi-agricultural and semi-fishing Wakura, a song that sings about Wakura that flourishes has become popular. After that, the reclamation of Yushima progressed, a bridge was also bridged, and as the Joo 3 (Yadokatakasegi) got permissible, a Yadokatakasegi spring inn and a cozy lodge in a place to rest as a big Yadokatakasegi restaurant and outside bath were built . At the end of the Bakumatsu period, Wakura Onsen was well-known for its reputation, and remote houses from Kyoto's houses in Kyoto, Osaka's great businessmen, painters and haikus also visited, and as the number of hot spring recuperators increased, the name of Wakura Onsen began to grow even more. During the waste clan area in Meiji (time period) 4, due to the efforts of the villagers and others etc, the bath water of Wakura village was recognized as a common place of village, not government office. Meiji (time period) 12 to the 13 th year, the reclamation to Yushima progressed, finally continuing to land.Also, in that year, Wakura Onsen won the third prize at the Mineral spring exhibition held in Germany. I gained fame in the world. Since then, we are constantly going through today with repeated trial and error in order to make our customers abundant and of good quality Wakura-no-yu. You can enjoy two kinds of private baths at the hotel. One can enjoy two types of bathtubs, the inner bath and the Yuon, "Yuon". The other is "Yumegura" that you can enjoy hot Yumegura water from the source. Both of you can enjoy relaxing time with spacious and important people. In addition to the hotel, you can also enjoy a large public bath with group inns "Inn Moriya, Shuzen", "Taste inn, Hosenkaku". If it is good, please go for a walk at Wakura Onsen. 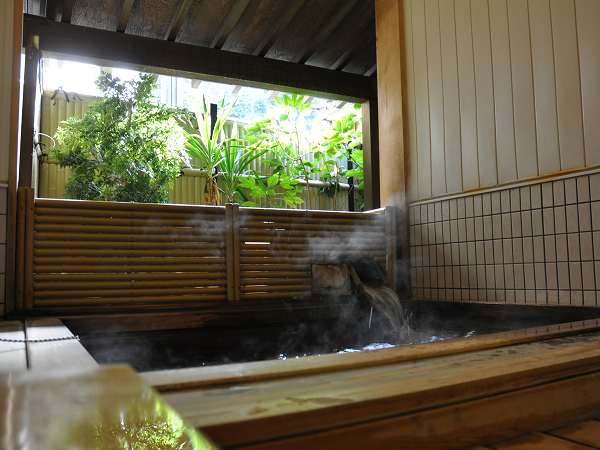 Wakura onsen's hot spring water is a very salty hot spring called a strong salt spring. Even though its efficacy is extremely rich by its injuries, it is also a little troubled. That it feels much hotter than the actual hot water temperature due to strong salinity. but it's okay! At first it is supposed to be pretty, but it is strange to enter! So that you can soak in and relax. Please enjoy the mysterious hot spring of Wakura hot spring many times. You can enjoy beautiful skin effect for women as well! It is said to be effective for rheumatism, gout, neuralgia, weak children, chronic lady disease, atopy, etc. It is said that it is good for gastrointestinal diseases, anemia, hepatic hepatitis, etc. if diluted twice and drinking. Medical use of hot springs is due to biological reactions to the total effects of temperature and other material factors, chemical components, geographical features of the site of use, climate, changes in the user's life state and other various effects, Although it is difficult to determine the utility of hot springs, contraindications and indications for drinking of this hot spring are generally as follows. 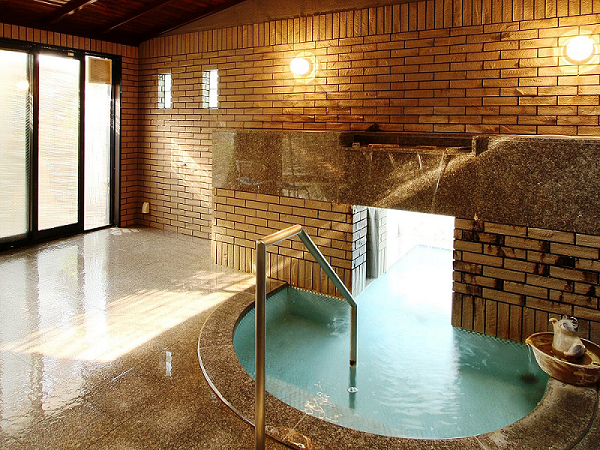 A special private bath with the theme of "comfort treatment for Woman" and "present Onsen Cure" = "Yumekura".Only those who have reserved a charter can enter the room, and that's Yumekura...A healing space where you can enjoy hot springs with five senses, such as tunnel bath where thalassotherapy effect is anticipated, hot spring of source sprinkling.Please enjoy the time-misunderstanding space and a special moment with "rent a lady with you and your precious one". "Yuon" is recommended for this person. ※Depending on the situation of reservation it may not be accepted. * Yumekura is a guide for 4 adults and a Yuon for 5 adults. * course time includes clothes change time. * Smoking is prohibited inside the facility. Please select the desired course on our website reservation form. Please include your desired time in "Message field".We will inform you of possible time between bathing by e-mail or phone. Reservations by phone, please contact 0767-62-1788 Togetsuan reservation receptionist). ※We are crowded, so please reserve your reservation as soon as possible. We rent or offer the following items (free of charge). ■ Please refresh hydration firmly after bathing.